Robots are pretty cool, rad even and it was obvious to me that I am not the only one who thinks this when I noticed that on my local library’s new picture book shelf there were a bunch of robot books. 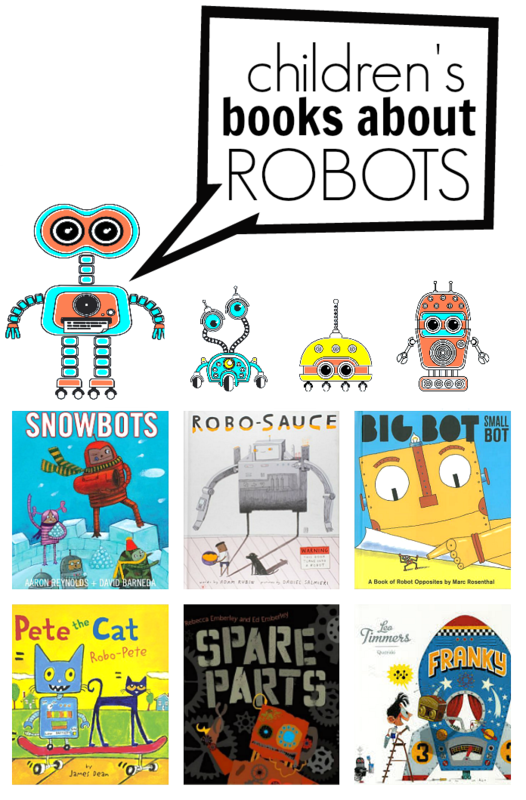 Immediately, I grabbed a few and decided to do a book list celebrating robot books! 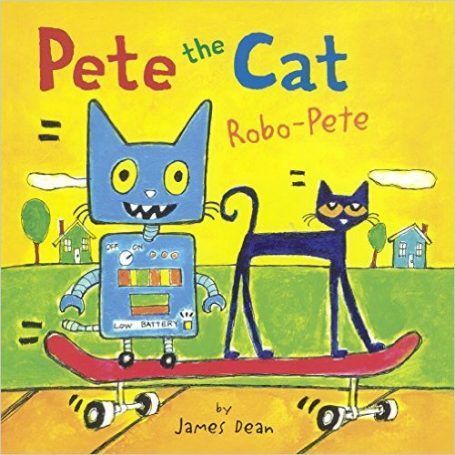 Pete The Cat – Robo Pete by James Dean. 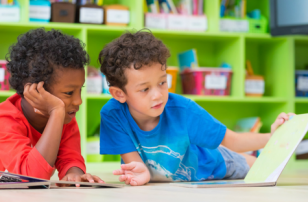 Kids love Pete the Cat and it’s not hard to see why. Pete is kind and funny and just so chill. When all his cat friends are busy Pete builds a robot to play catch with him. Soon Pete discovers that robots don’t make the best friends. 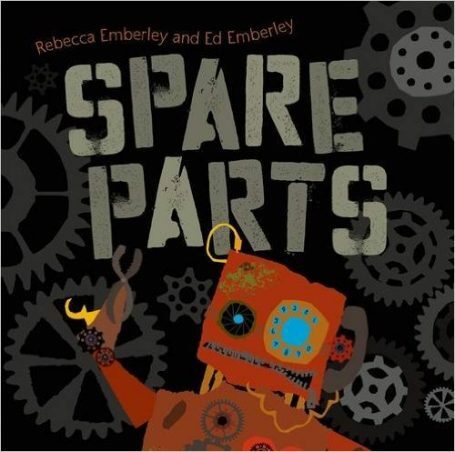 Spare Parts by Rebecca and Ed Emberley is a story about a robot named Rhoobart who needs a new heart. He’s a robot made of spare parts and has to try to find a new heart in a junk pile, or at least he thinks that’s what he needs. A friend is found while looking for this new heart and Rhoobart learns that it’s not a new heart he needs, just a jump start and a friend can do that! by Dav Pilkey These early chapter books are about a little mouse Ricky who is not the most popular mouse. He gets picked on at school until he ends up saving Robot”™s life and the two of them become best friends! You”™d think that with a giant robot as a best buddy a little mouse might let it go to his head. 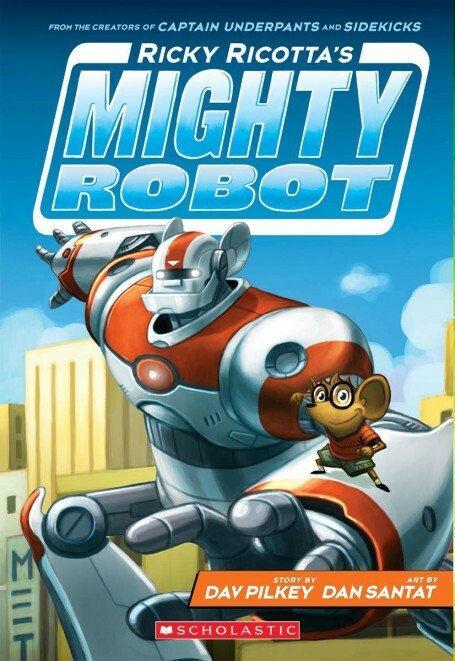 Ricky is a good mouse through and through and as the series continues he and Robot continue to save Squeakyville from all sorts of evil. The books are full color and have a super cool comics throughout and an even cooler flip book in the middle. 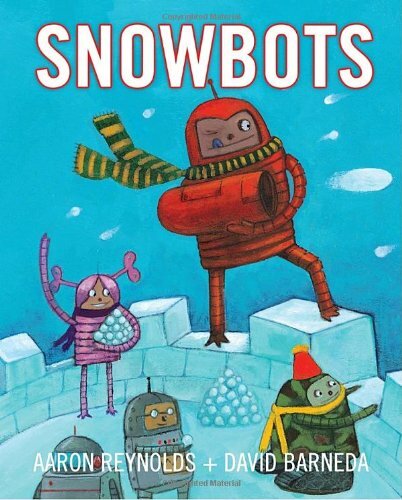 Snowbots by Aaron Reynolds is funky, fun, and full of really awesome rhymes. The robot reality is a sweet one, and my kids totally dug this book. We were picking favorite robots in the first few pages and loving the book more and more as we read it. The story is a familiar one but with the substitution of robots instead of humans basic snow day things get more interesting. My son loved the snowball fight, and my daughter was all over the pink robot. I loved how they had cereal with gasoline and an oil bath. A huge hit with all of us. 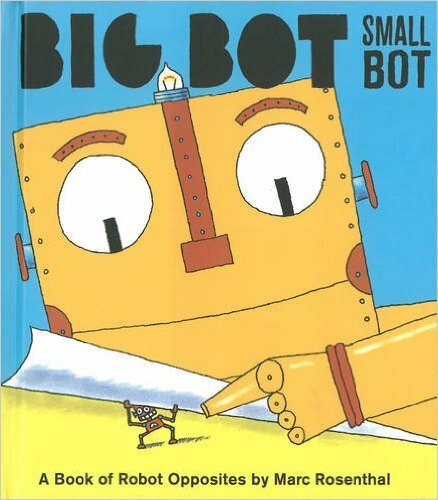 Big Bot, Small Bot by Marc Rosenthal is a fun and active book for toddler and young preschoolers. 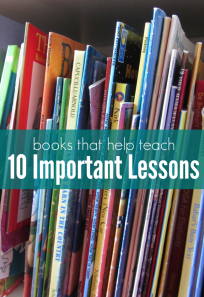 Every page is a set of opposites and with the help of great robot illustrations, readers lift the flaps to reveal the opposites on every page. My daughter insisted we take this home from the library even though it’s well below her interest level because opposite books were her favorite at about 2. We read it together, and both loved it. 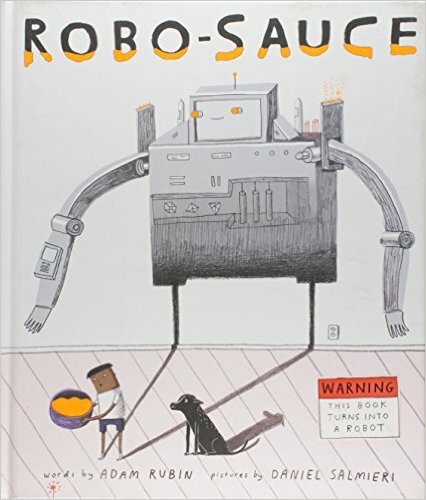 Robo-Sauce by Adam Rubin is hilarious. 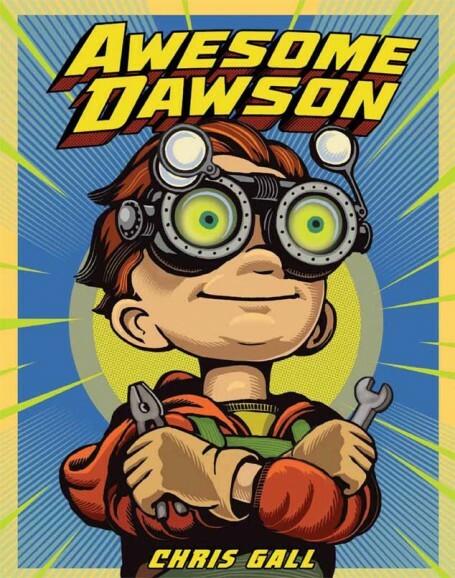 The book is supposed to be about how a little boy turns into a robot and then realizes he wants to be human again, but sometimes books don’t go as planned and the narrator loses control and everything, even the book ( with the help of a seriously cool gatefold) turns into robots! My six year old loved this book and totally got the humor, I am not sure anyone under five would have, though. 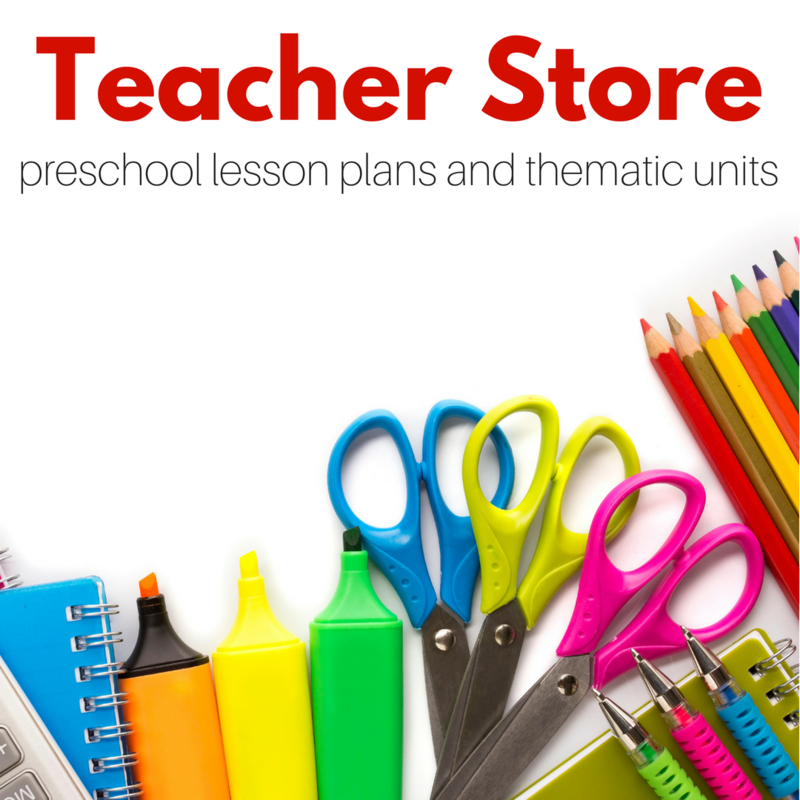 This would make a fun kindergarten read aloud! 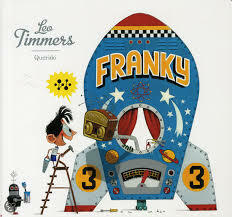 Franky by Leo Timmers is a heart-warming story about a little boy Sam who believes with all his heart that robots live on another planet. Of course, everyone thinks Sam is a little nuts and ignore him until he creates his own robot Franky and something amazing happens. 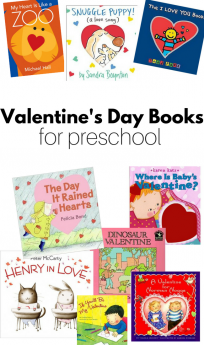 I love the illustrations in this book they are bright and funny and will grab your child’s attention. The story is sweet and sends the message to be true to your beliefs even if someone dismisses them. 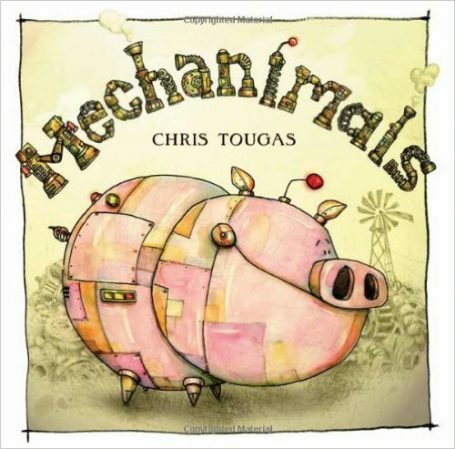 Mechanimals by Chris Tougas isn”™t just about a farmer who builds robot animals when his are swept away in a tornado; it”™s about overcoming adversity. What is a farmer supposed to do when his animals are gone? 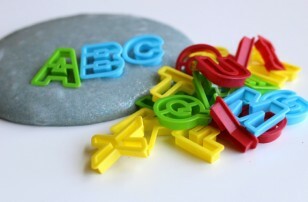 Certainly not admit defeat, use what you have and create something new! 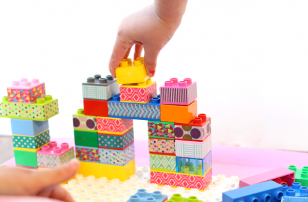 What an incredible lesson in resourcefulness, problem-solving, and determination. Awesome book! 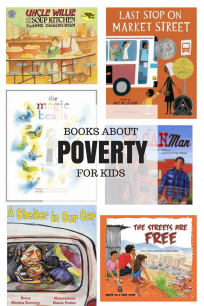 If you like my book lists – check out my new Instagram account JUST FOR BOOKS! <— sorry it’s just so exciting!